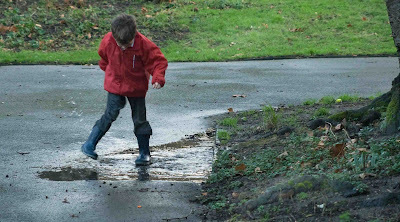 Gumboots, puddles and children. They go together where ever you are. You are so right. This photo could have been taken anywhere. It's nice to know that kids are the same where ever you go.